German engineering means quality. German engineering means luxury. German engineering means dependability. These are all adjectives that have been used by German manufacturers to describe their automobiles; and, for the most part, they’ve been right. 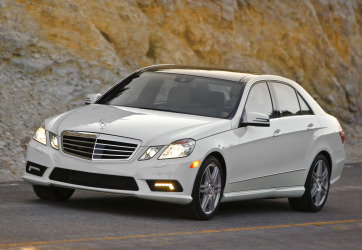 Most of the German car makers have produced some very dependable, and in some cases very luxurious, vehicles. We’ve taken the time to research testing at Car and Driver, Consumer Reports, Edmunds, and Motor Trend, to bring you the best German cars of the 2010-2011 model years. Like the Audi A4, the S4 was redesigned for the 2010 model year. It’s bigger than previous models, adding more interior space and comfort. One of the biggest changes was the replacement of the V8 engine with a supercharged V6 in the sedan; the coupe still comes available with the V8. 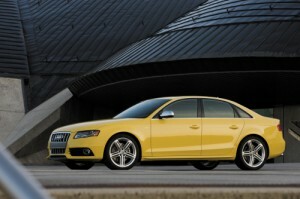 The V6 actually gives the S4 more torque and better fuel efficiency at 18/27 mpg (city/highway). The AWD gives it super-stick traction and the available dual-clutch automatic transmission provides rapid shifts on its own or via driver-controlled wheel-mounted shifters. The interior is quite attractive in its two-tone color scheme, and controls are conveniently arranged. This is the best of a quality class. 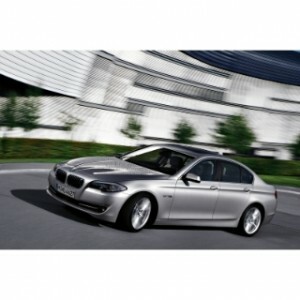 The 5 Series comes in an array of choices, all of which can quench the needs of any driver’s desires. The 528i isn’t big on power, but fuel efficiency and luxury abound. However, if it’s power you’re looking for, and you’ve got the money to get it, the 550i will give it to you. It jumps the 5 series up from the 3.0L six-cylinder engine, which is found in the 528i and 535i, to a turbocharged 4.4L V8 pushing 400 ponies and 450 lb-ft. of torque. AWD is an option if you go with the xDrive model, but both ride and handling are quite capable even without it. For true auto enthusiasts, a manual transmission is still available. Take a luxury touring car and a high-performance sports racer and squeeze them together as hard as you can, and you’ll end up with the Panamera. If you can get the hang of the more than 80 buttons scattered throughout the cabin, you’ll be able to control the driving modes to suit whatever preference you have. In Normal mode, you’ll enjoy a soft, smooth ride befitting a luxury sedan. For those with the need to quicken their pulses, the Full Sport mode will increase throttle response, firm the suspension, and even adjust the ride height. The only downside is becoming accustomed to the cockpit-like control panel.